This past year has given us many reasons to be grateful, especially for donors like you. As we welcome the Christmas season, we look forward to sharing a special, festive meal with our guests. We’ll set up a Christmas tree together, too, and decorate it with the ornaments that donors like you have sent in! We want to ensure that our guests can experience hope and joy this Christmas. Please know that your generosity is what turns homelessness to wholeness in our community. Thank you for everything you’ve contributed. 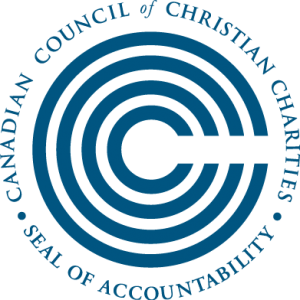 We’re dedicated to being accountable to you, so please read on to learn more about what your gifts have accomplished this year. May your Christmas season be filled with warmth! We’re so thankful to each of our donors, and to our staff and volunteers. Because of your gifts, Kelowna’s Gospel Mission is able to reach thousands of struggling people in our community, who need support to realize their potential and turn lives around. Look at how much we’ve accomplished together! When I was a little girl, home life was volatile and filled with anger. When I was 14, my mom told me that my real father had died when I was a baby. I was so confused—and my stepdad saw it as an excuse to yell at me and accuse me of terrible things that I’d never done. By the time I was 16, I was ready to be gone, so I left. At first, I felt like I’d safely made the leap into adulthood. I was working hard at a nursing home, and I felt responsible. I was a little lonely, but I told myself that I’d get used to the new situation. For many years, everything in my life was good, at least from the outside. All the time, I was still struggling with loneliness, insecurity and a weakness for alcohol, but I didn’t let it get to me until later in life. A number of my friends were also alcoholics, and one friend in particular was a cocaine dealer. I suppose a part of me recognized that he was bad news, but he paid special attention to me when everyone else seemed to look right through me. Once he persuaded me to try cocaine, it was the beginning of the end for me. All too suddenly, I had lost everything and was living on the streets. I was in shock. After a few months of barely surviving, a fellow member of the street community told me about Kelowna’s Gospel Mission. I was grateful for a free meal, but I was also a little worried that someone would come ask me for something. Instead, it was the first time in a long time that I had conversations where no one was trying to trick me. Soon, I was going to the Mission every day, and getting to know everyone. I’d been living in addiction for ten years, but they still saw value in me. When the time was right, they encouraged me to try treatment, and today—because they stood by me through my struggles to recover—I’ve been clean and sober for more than three years. 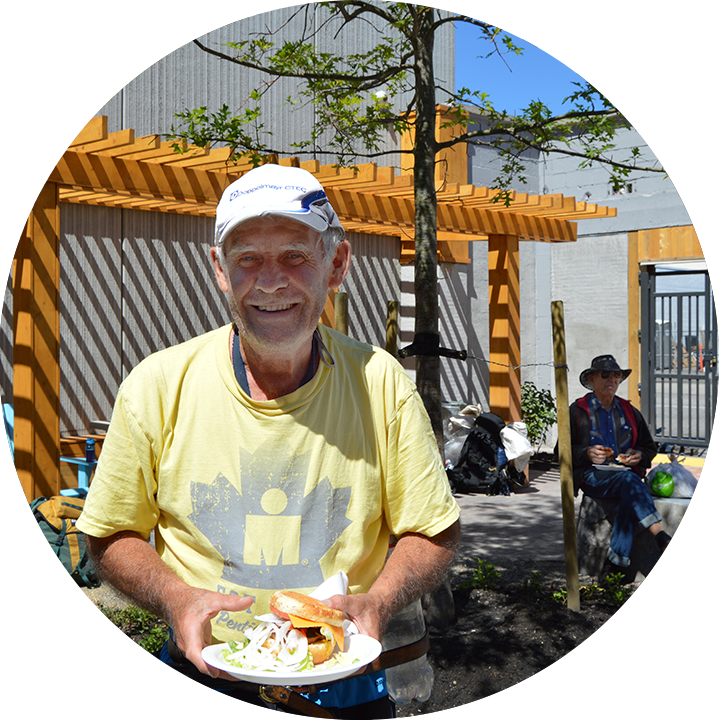 I have my own home again, now, but I return to Kelowna’s Gospel Mission regularly for a delicious meal, or to volunteer on kitchen or cleaning duty. I’m so thankful for the love they’ve shared. Thank you to everyone who gave—online and otherwise—to create our beautiful new courtyard, next to our new dining area. We officially opened it over the summer and it’s such a peaceful, beautiful place. Now we’re looking for volunteers to help out there. To help our vistors meet their spiritual needs, we offer Bible Study courses during the day for men and women. Through spiritual fulfillment, our participants are spurred onwards to grow into successful life change. Thank you for supporting us, in sowing the seeds of change. 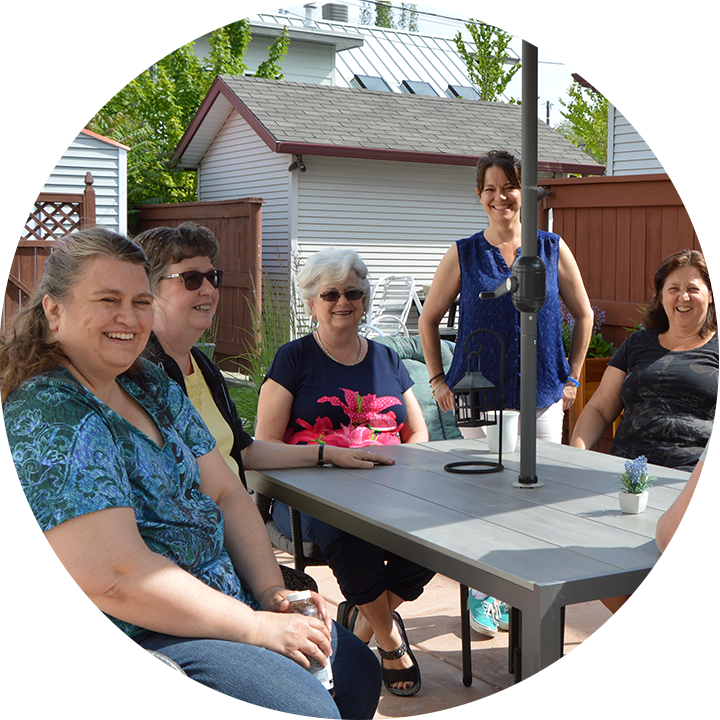 Our residents at Harmony House have been enjoying a wonderful and fruitful summer, caring for their new, enlarged backyard and beautiful patio, courtesy of Prestige Landscaping and Gorman Brothers. They have been tenderly caring for the newly seeded lawn and are excited to host lawn bowling tournaments next summer! This year, we expect to serve more than 700 delicious Christmas meals to people who are hungry and seeking warmth and comfort. For people like Marina, a meal in community is about more than food. It’s a bright opportunity to receive words of care and affirmation, and access life-transforming resources. Thank you for all of your support. With Christmas getting closer, we have a lot of work to do still, and we hope you continue to give generously to help feed our guests and turn homelessness into wholeness.